Bring the Excitement of Drawing to Your School Today! Our innovative, standards-based SketchTribe program is designed for alternative education sites, public and private schools, charter schools, and home schools. The lessons are fast-paced and fun. 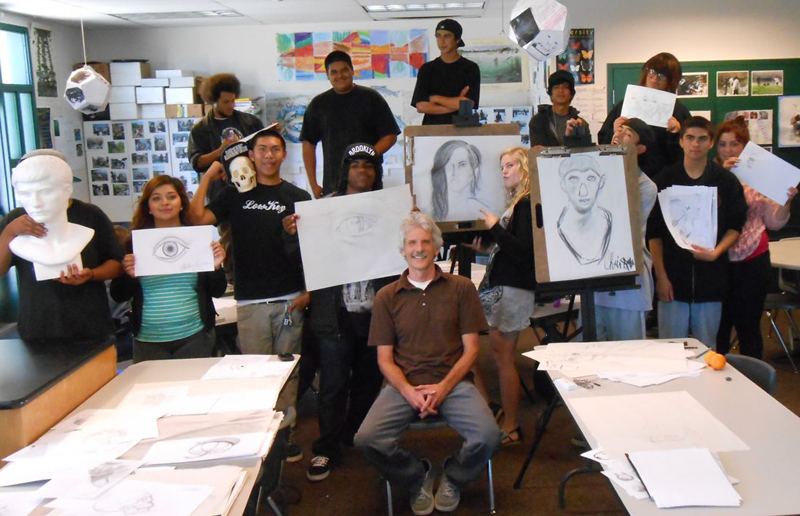 Students learn to draw from observation, imagination, and memory while they earn credit for visual art. Drawing coach, Rob Court, engages each student at their own ability level; then challenges them to take their skills to the next level. Rob shares his experiences as a professional graphic designer and illustrator and encourages students to explore drawing opportunities in art, science, design, technology, and entertainment. All you need to provide is the classroom, #2 SOFT pencils, and lots of 8.5 x 11″ white copier paper. Rob will do the rest!